Sadly, in the days long before New Hall Hotel’s Spa, there would not have been any massages or treatments for Henry’s lady-friend to relax and unwind whilst Henry was out hunting boar in Warwickshire’s leafy glades. With Henry’s turbulent history his lady-friend would have needed some distractions from a relationship that had the potential to rapidly become messily “complicated”. 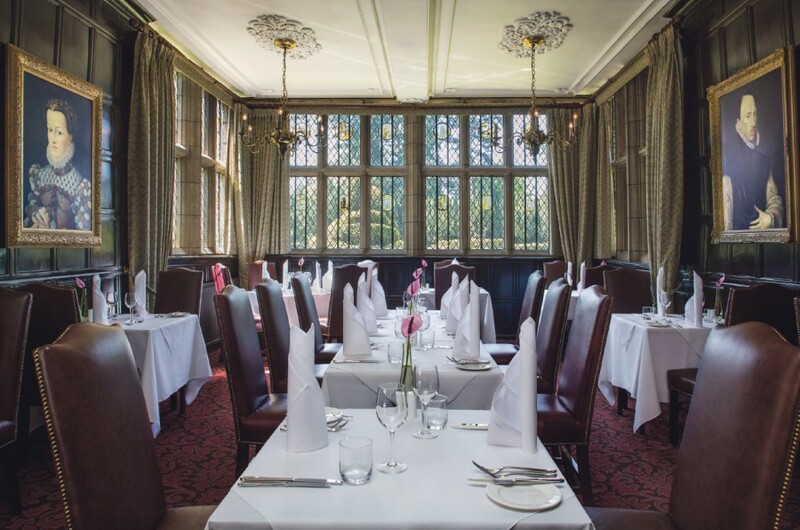 Stepping out of the 21st Century, for a stay at New Hall Hotel, you expect to see Henry Vlll stomping across the drawbridge powering towards a substantial lunch in the wood-panelled-mullion-windowed Great Chamber. 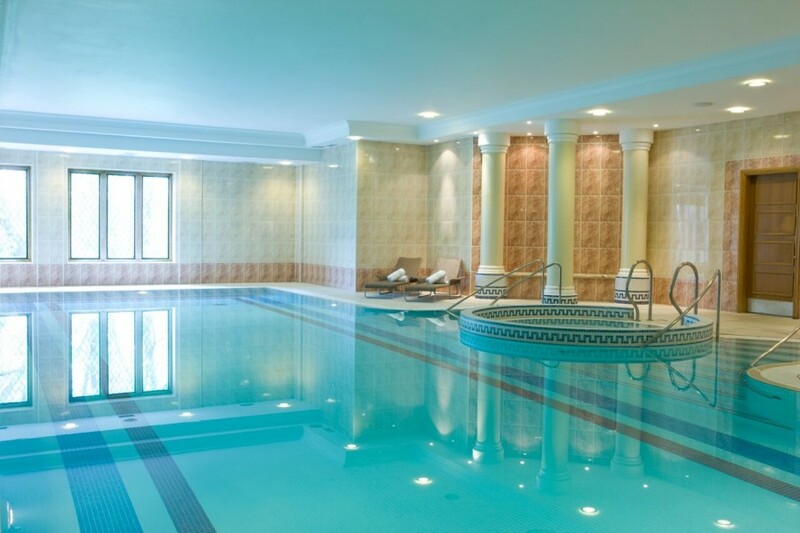 If there are days when you want to press pause and take a Tudor timeout, with some pampered Spa time, then New Hall Hotel is your destination. 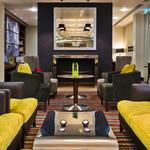 For those visiting or working in the claustrophobic conurbation that is Birmingham, historic New Hall Hotel is a tempting green oasis of tranquillity just ten miles and around five centuries from the city centre. 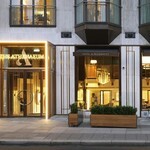 Consequently, it pulls in both business high-flyers and celebs. The public areas, decorated in a deep burgundy with hunting-scene wall-hangings and austere portraits, are undoubtedly in the spirit of Tudor power decorating. 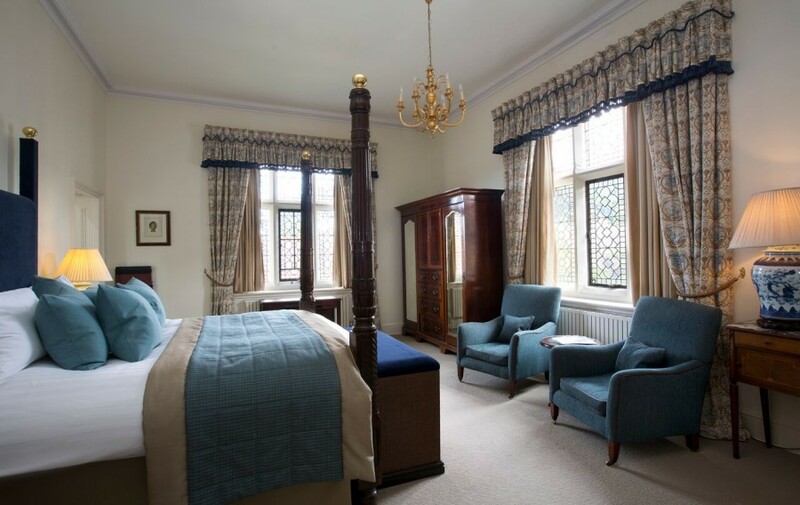 In contrast, the spacious bedrooms are appealingly light with their pastel palette of gentle lovats. 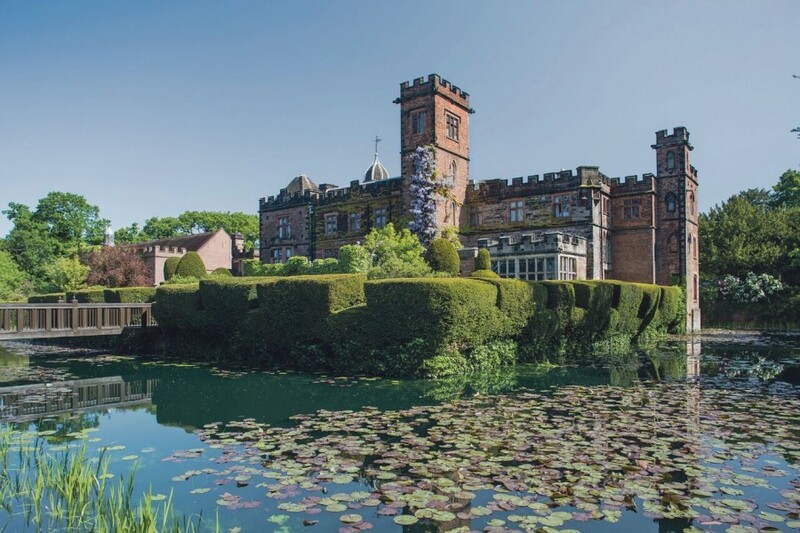 Walking across the bridge over a wide lily covered moat, fed by seven babbling streams, New Hall Hotel represents a romantic era of gryphons, heraldic coats of arms and Latin mottos. En Bon Foy – “In Good Faith” was the credo for the Sacheverall family when they lived at New Hall. If Tudor and Stuart times had an Alan Titchmarsh figure, dispensing gardening advice, he would have been based in New Hall’s immaculate gardens. The past does have its attractions but we need our mod-cons too: sometimes the past was more Horrible History than palatial luxury. 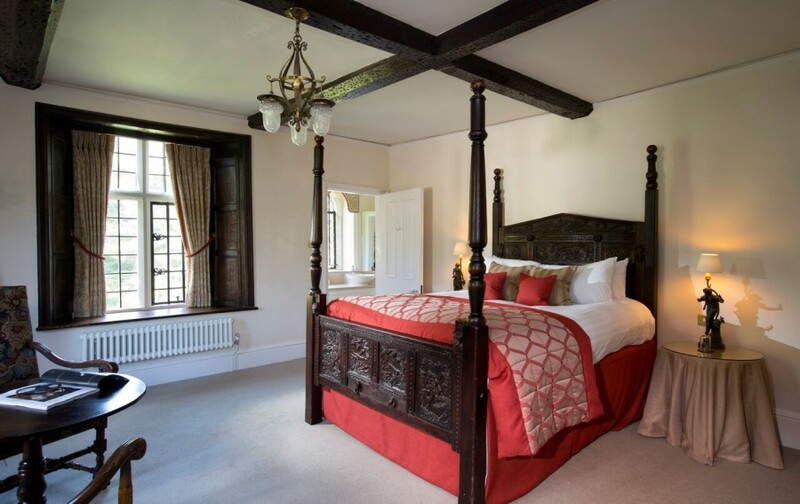 Fortunately, at New Hall Hotel the WiFi is strong, there’s chilled milk in the fridge, a coffee-maker, oodles of TV channels and decadent four poster beds. Before you’ve even unzipped your suit-case the Receptionist is ringing to check that all is well with your room. Handpicked Hotels understand that historical authenticity must stop at the bathroom door: instant hot-water, a large bath and power-shower, plenty of mirrors, white fluffy towels, heated towel rails and ample light are non-negotiable for the discerning guest. Above all there’s a selection of toiletries: no abhorrent soap and shampoo dispensers clamped to the wall as irremovable as irons in a Henrician dungeon. 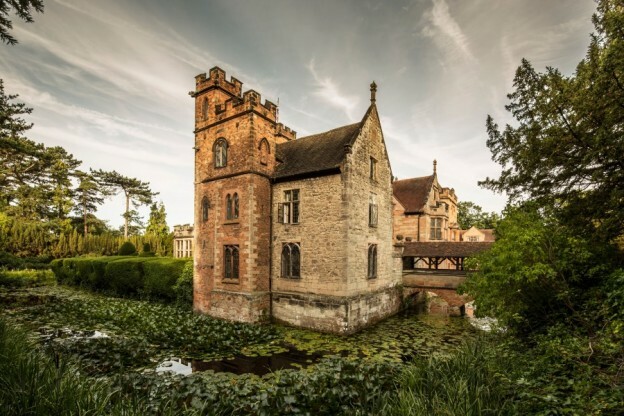 New Hall is England’s oldest moated house. In turbulent medieval times the moat was not just a Gardener’s World decorative water feature it was essential for survival. My dual aspect room was named Clarissa after one of the varieties of water lilies floating on the moat. The gentle babbling of streams as they feed the moat serves as a low-tech mindfulness app. But the moat didn’t always save the inhabitants. New Hall owners had a habit of backing the wrong side. After the Wars of the Roses the young Earl of Warwick was imprisoned in The Tower of London by Henry Vll who seized New Hall for the Crown. After the English Civil War, New Hall’s owner was fined the then astronomical sum of £542 for patriotically but inadvisably backing the Cavaliers when the Roundheads held overwhelming musketry power. Inevitably, with such a violent history, New Hall is rumoured to have its ghosts. The most sartorially elegant is said to be a cavalier in a velvet suit, complete with neck ruff, and matching black patent leather shoes set-off by gleaming buckles. 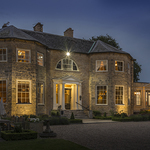 Sat in 26 acres of pasture, mature gardens and established woodland, complete with 9-hole golf course and tennis court, this is a place to relax. 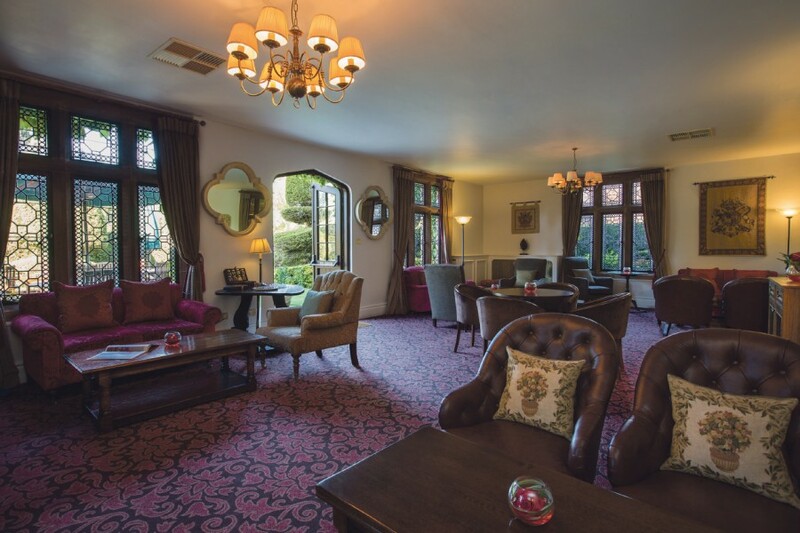 With the bar area gently flowing out onto a south facing terrace, decorated with immaculately coiffured topiary, it is an idyllic location for a pre-dinner drink. Although there is much historical ambiguity about Henry Vlll’s visit to New Hall there is unanimity on one vital issue: breakfast. Henry, never one to be concerned about rising cholesterol levels, would have walked straight past the healthy fresh fruit and yoghurt options, taking full advantage of the freshly cooked-to-order breakfast. And surely skimmed milk would have been anathema to this absolute monarch? Double rooms from around £100.